Our oldest son is currently deployed overseas. In fact, he was the inspiration for this blog in the first place. You can read that story here. We are so proud of our son and his full time service as active duty military. But as a mom…it is hard to have your child so far away! Each and every day I miss him like crazy and anxiously await the next phone call and/or message. Knowing you will not see your son for a very long time is extremely difficult. My Battle Saints bracelet is a great reminder each and every day to hold our son in prayer as his journey takes him far from home. It is also a great way to show my support for all our troops. Inspired by a military Mom, she created a unique bracelet to honor our service men and women while providing a sense of protection from battlefield dangers. 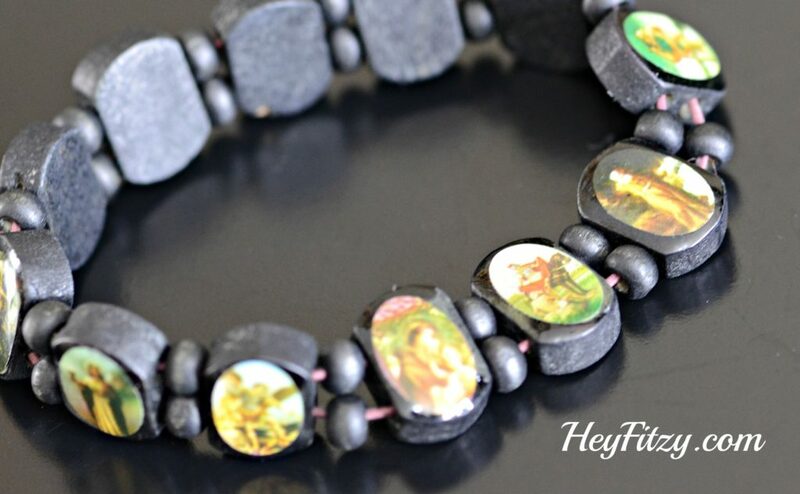 She designed a handmade, wooden bracelet with pictures of Saints that are relevant to the military. I often receive compliments on my bracelet while asked to take a closer look at the images. I love to tell the story of our son and why the bracelet is so special to me. Check out their website and support our troops.